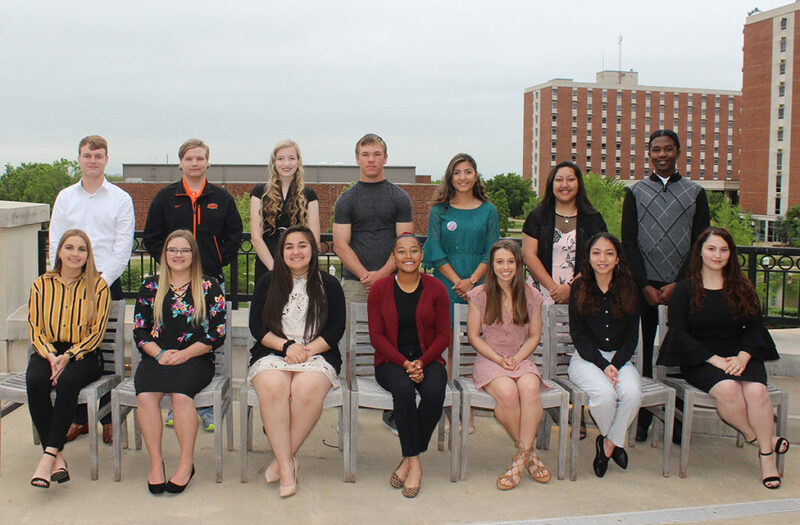 The Lawton Community Foundation awarded $28,500 in scholarships to 15 high school seniors from Lawton and the surrounding area at the Foundation’s annual scholarship breakfast April 24 at Cameron University. Scholarships were presented to recipients from each of the three Lawton public high schools, as well as Cache, Elgin, Frederick and Geronimo high schools. Through the Lawton Community Foundation scholarship program, graduating seniors from the Cache, Elgin, Frederick, Geronimo, Lawton, Eisenhower and MacArthur high schools are eligible to apply for scholarships varying up to $2,000 each. Recipients include students who may not be eligible for the most competitive academic scholarships, but are good students and are active in their community, as well as students who participate in ROTC, plan to pursue a degree in health care or plan to attend Cameron University or Great Plains Technology Center. Additionally, recipients planning to attend Cameron University will receive a matching scholarship from the school.